Howdy to all those who are joining us via the L.A. County Master Gardeners and the Mar Vista Green Committee! We're so glad you could stop by Archie's Garden, your online organic Mar Vista visiting place. We're bursting with flower photos, seed exchanges, local green event updates, garden ideas, monarch butterfly information, and more! You and the kids can also share your own photos, seeds, and questions at Archie's Facebook page, and be sure to "Like" the page to see all of Archie's current gardeny doings. Some of you new folks might be wondering: Who's Archie? 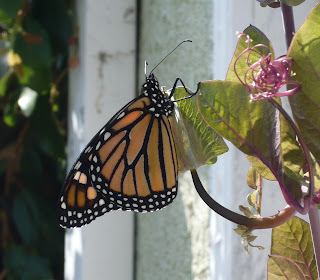 Archie is a monarch butterfly who lives in our garden (well, we like to think so.) 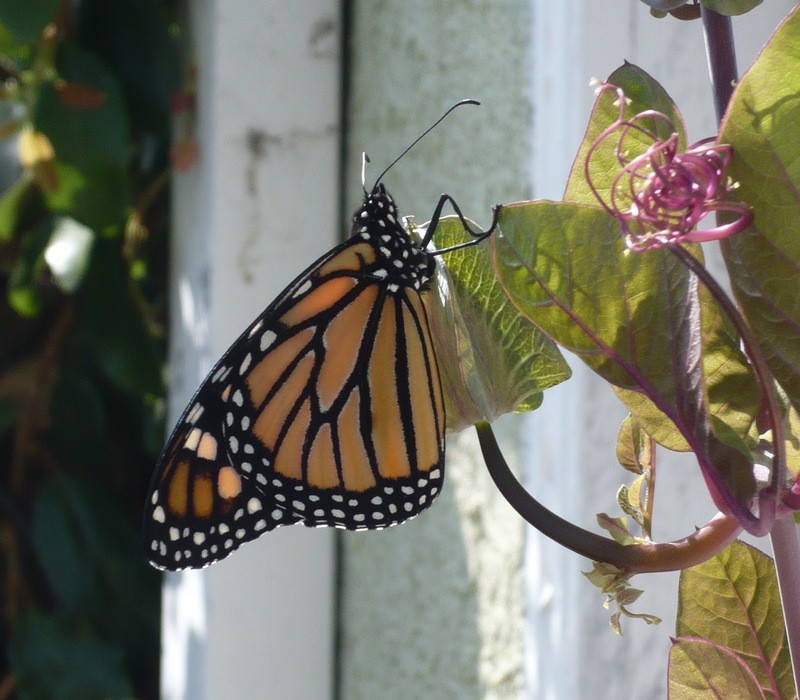 A few generations of monarch butterflies have passed through here now, from egg to caterpillar to chrysalis to glorious butterfly, and all of them remind us of the original. We called our first caterpillar "Archie" because he was a monarch, get it? 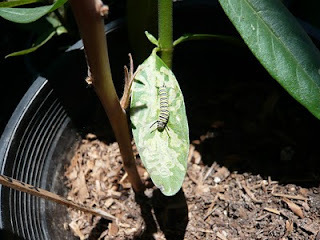 He came to our house on a milkweed plant gifted to us by local butterfly expert/enthusiast Loree Bryer, and we got excited about butterfly gardening from the first moment we met him. How did this magical transformation occur? Well, that's just one of the stories you'll see unfold right before your eyes here at Archie's Garden! Thanks for joining us! Please feel free to email us if there's anything special you want to see posted here or you'd like to stop by and pay a visit IRL. In fact, we'll be participating in the Mar Vista Green Garden Showcase on Saturday April 30th, 2011 from 11 a.m. to 4 p.m., and guess what? Loree Bryer will be here with milkweed seeds and all the information you need to start your own butterfly garden! Come and see--we think you'll have fun. You might even see Archie fluttering by. As we say here at the Garden: Keep Your Eye on the Butterfly, and looking forward to seeing you again soon!